In a league of its own best describes this total activity center. 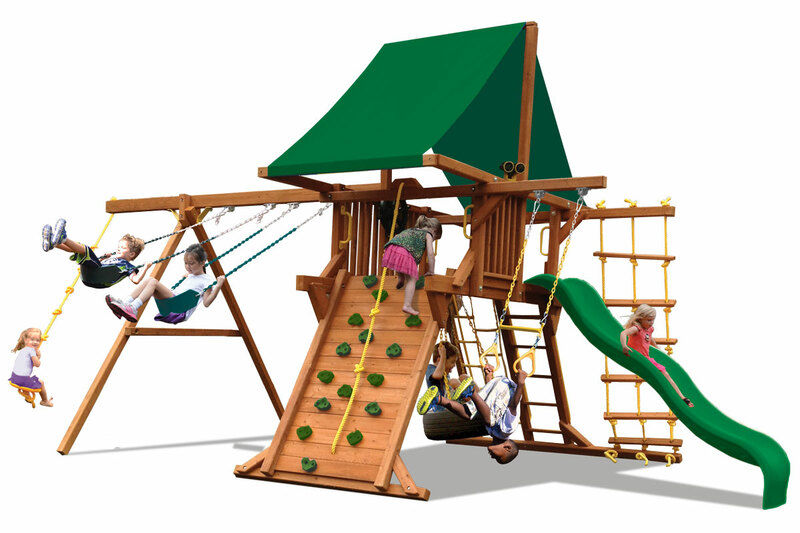 Our Deluxe Playcenter gives you so much more for so much less! Compare this unit to other wooden swing sets costing hundreds more and you’ll soon discover why this is the flagship of the Playground One lineup. Starting with all cedar super heavy duty construction, we then added multiple climbing/swinging activities to keep the whole family entertained for years to come. 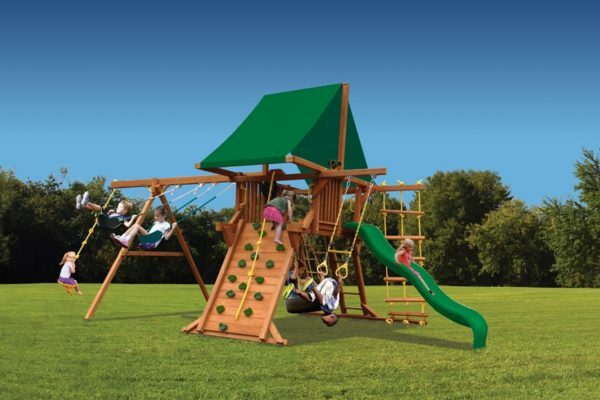 Once again Playground One has defined quality and value at an affordable price!